I took this class called Introduction to AI, and the professor gave the assignment to write an A* heuristic program to find the shortest path between the cities. The shortest path heuristic was based on the Euclidean distance or alternatively the total number of links. The program needed to be shown on a graphical interface. I wrote this taking some time, going through all sorts of implementation issues. I assume my solution to be not the optimal, but it works in a reasonable time. Below is the video describing one of the sample runs. The probabilistic road-map approach is used in robotics to find a path from the present configuration to the robots desired configuration. This is done by finding a path in the configuration space. As shown above, the path from the source to destination is plotted on the configuration space. I used the classical Dijkstra method to find the path. The sample input file and the main program are below. I took a class called Algorithms for Robotics in the school. The class was interesting, except that I messed up the finals. Anyway, the assignments included finding the configuration space of a 2D robotic arm, Simultaneous Localization & Mapping etc. I thought of writing something about it here. The configuration space of a robot allows it to calculate the possible motions it can take, given the locations of the obstacles. The above picture represents the two angles of a 2D arm robot. Each goes from 0 to 360 degrees. 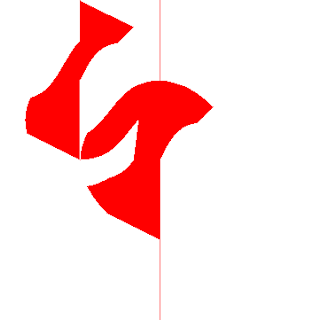 The red shade indicates obstacles and the white space indicates the free space. The real world coordinates are translated by the algorithm into the above representation to make things much easier. I wrote the program in Java. It was an interesting solution since I did not use any open source libraries. This problem appeared on google code jam website. I took some time to write a solution. Roller coasters are so much fun! It seems like everybody who visits the theme park wants to ride the roller coaster. Some people go alone; other people go in groups and don't want to board the roller coaster unless they can all go together. And everyone who rides the roller coaster wants to ride again. A ride costs 1 Euro per person; your job is to figure out how much money the roller coaster will make today. The roller coaster can hold k people at once. People queue for it in groups. Groups board the roller coaster, one at a time, until there are no more groups left or there is no room for the next group; then the roller coaster goes, whether it's full or not. Once the ride is over, all of its passengers re-queue in the same order. The roller coaster will run R times in a day. For example, suppose R=4, k=6, and there are four groups of people with sizes: 1, 4, 2, 1. The first time the roller coaster goes, the first two groups [1, 4] will ride, leaving an empty seat (the group of 2 won't fit, and the group of 1 can't go ahead of them). Then they'll go to the back of the queue, which now looks like 2, 1, 1, 4. The second time, the coaster will hold 4 people: [2, 1, 1]. Now the queue looks like 4, 2, 1, 1. The third time, it will hold 6 people: [4, 2]. Now the queue looks like [1, 1, 4, 2]. Finally, it will hold 6 people: [1, 1, 4]. The roller coaster has made a total of 21 Euros! The first line of the input gives the number of test cases, T. T test cases follow, with each test case consisting of two lines. 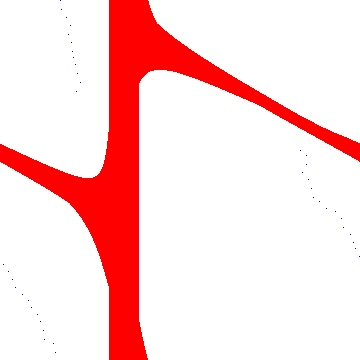 The first line contains three space-separated integers: R, k and N. The second line contains N space-separated integers gi, each of which is the size of a group that wants to ride. g0 is the size of the first group, g1 is the size of the second group, etc. For each test case, output one line containing "Case #x: y", where x is the case number (starting from 1) and y is the number of Euros made by the roller coaster. 1 ≤ R ≤ 1000. 1 ≤ k ≤ 100. 1 ≤ gi ≤ 10. 1 ≤ R ≤ 108. 1 ≤ k ≤ 109. 1 ≤ gi ≤ 107. In hopes of destroying the universe by means of a singularity, I have purchased N Snapperdevices and chained them together by plugging the first one into a power socket, the second one into the first one, and so on. The light is plugged into the Nth Snapper. Initially, all the Snappers are in the OFF state, so only the first one is receiving power from the socket, and the light is off. I snap my fingers once, which toggles the first Snapper into the ON state and gives power to the second one. I snap my fingers again, which toggles both Snappers and then promptly cuts power off from the second one, leaving it in the ON state, but with no power. I snap my fingers the third time, which toggles the first snapper again and gives power to the second one. Now both Snappers are in the ON state, and if my light is plugged into the second Snapper it will be on.